We welcome folks to join us for a Working Farmstay. 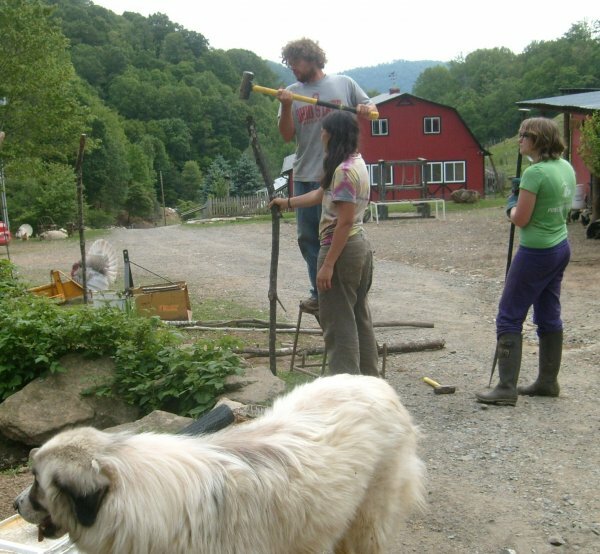 We’ll put you to work alongside our interns to learn some homesteading skills! Here we are, fencing raspberries to keep out the rascally chickens who think the fruit is just as delicious as we do. You might find yourself harvesting in the garden, birthing baby goats, or rounding up escaped piglets.